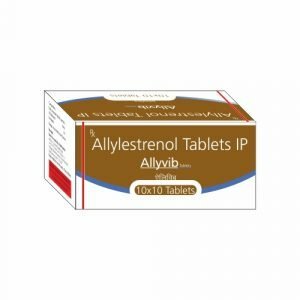 A synthetic steroid with progestational activity. It is widely marketed throughout Europe, including Russia and many other European countries, and is also available in Japan, Hong Kong, India, Bangladesh, Indonesia, and much of Southeast Asia, though notably not in the United States or Canada. vomiting and nausea, persistent headaches, skin allergies such as rashes, hives, redness, swelling of the throat, tongue, lips, blurred vision and dizziness, gastric disorders and abdominal pain constipation or diarrhoea, fluctuations of blood pressure. You must avoid driving or going outdoors frequently right after you have taken the medicine. 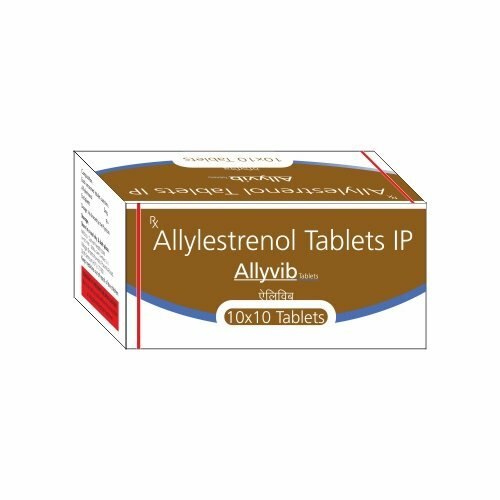 Allylestrenol was designed to be used for miscarriage prevention, prevention of premature labour and has been investigated for possible use in men for treatment for benign prostatic hyperplasia.